If tools are your Dad's thing then this Personalized Coffee Mug is for him. Every morning will be a new adventure of hammering and drilling as he sips from this unique Tool Man Custom Coffee Mug. Our Personalized The Tool Man Coffee Mug is Dishwasher safe and holds 11 oz. Includes FREE Personalization! 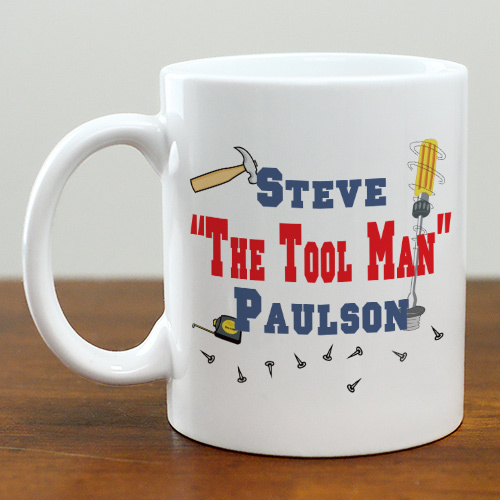 Personalize your The Tool Man Coffee Mug with any first & last name.